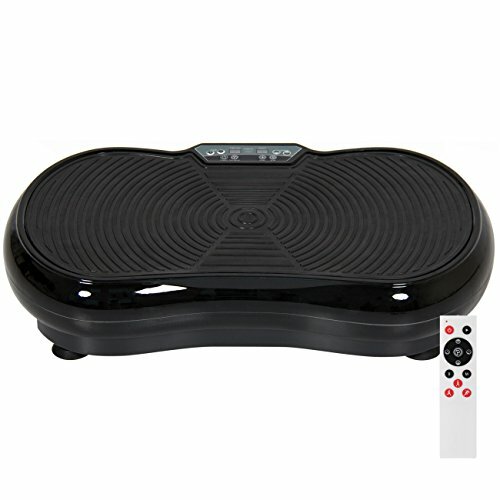 Feel rejuvenated with a vibration platform that will leave you shaking with excitement! A great way to loosen and rehabilitate tense muscles, its powerful vibration technology helps with improving circulation and toning the body. Two included resistance bands provide the option for incorporating arms to get a full-body workout. Add convenience with an included remote that allows for setting adjustments without interruption of the workout. COMPACT DESIGN: Slim and easy to move, the platform is ideal for use at home or in the office; OVERALL DIMENSIONS: 25"(L) x 13.75"(W) x 5"(H); Weight Capacity: 220 lbs.